Forbes recently released the richest people list in America of 2011. Where Bill Gates push back Warren Buffet and back in top again. 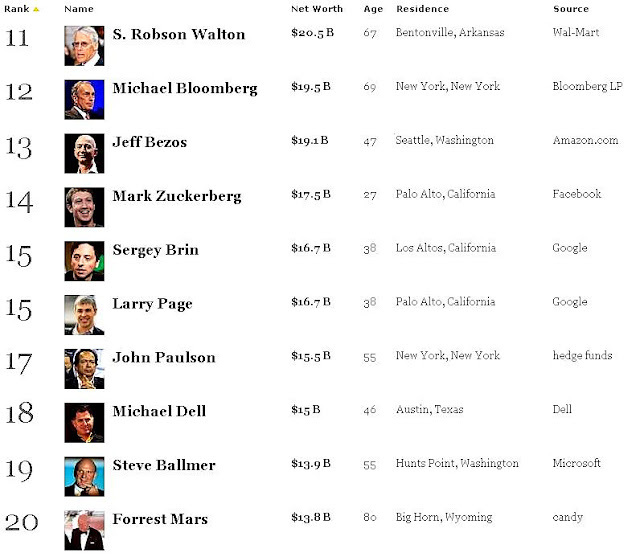 Facebook founder Mark Zukerberg’s also enter the top 20 richest people list. Larry Ellison ranked for 3 on the list. 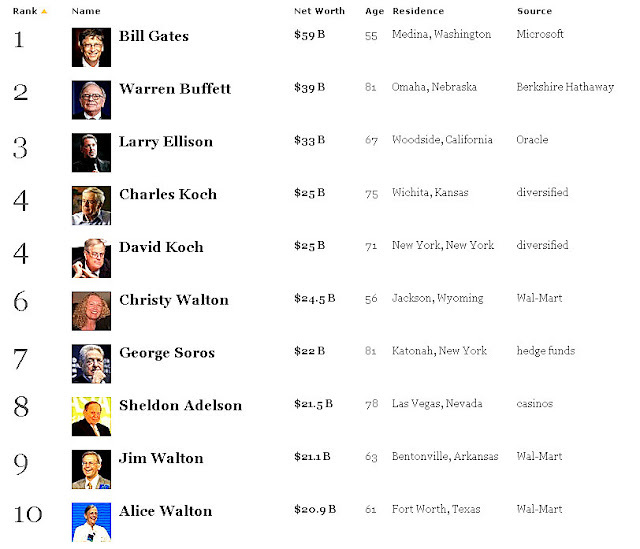 Here is the list of top 10 Richest People in America.